It’s easy to buy gifts for kids. There are lots of cool toy options everywhere – even the grocery store! What’s always been hard for me is findinggifts I feel good about (ex: not giant hunks of toxic plastic made overseas.) So, for birthdays and such I usually end up throwing a gift card or cash in a card and calling it a day. I like that they’ll have the power to get whatever they want. But there’s something delightful about watching a kid open a present that’s not in an envelope! 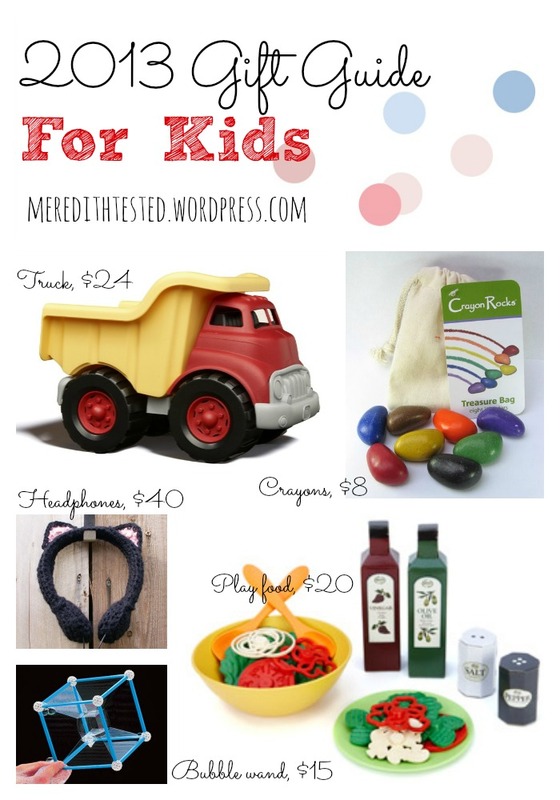 Here are some toy ideas for various ages and interests. I’ve already ordered some of these for my nieces and nephews this year, shh! 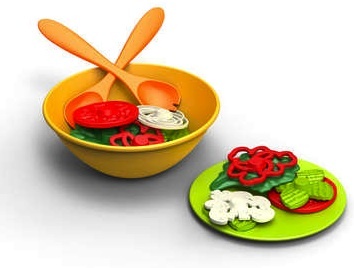 (Subtly) encourage healthy eating and creative play with this pretend salad. I know from hanging out with my nieces and nephews that while some activities might last only a few minutes, we can play “restaurant” or “chef” for much longer. 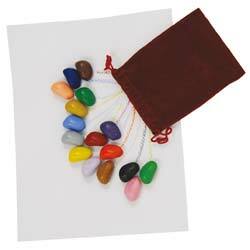 Also made by Green Toys in the USA with environmentally-friendly materials. This blanket is so sweet but the design makes it a little more sophisticated. 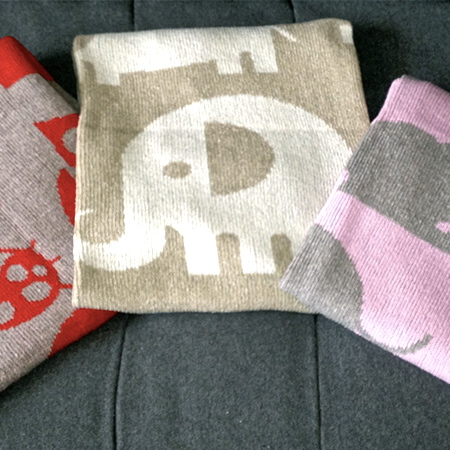 A great gift for a new baby or any kid who likes comfort on the couch, in the car or yes, snuggled up in bed. Bluebird Blankets make eco-friendly products from recycled cotton, entirely in the USA. Made Collection http://www.madecollection.com/about supports companies making high-quality and unique products in America. This is a cool idea for older, creative kids who like to draw, paint, collage, whatever. It’s nice to have a surface you can move around the house, and parents will like that less paint/glue/glitter/markers are ending up on their tables and furniture. 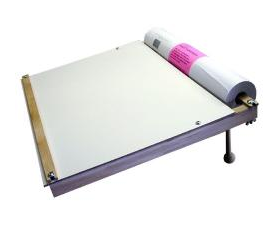 You can also buy a roll of paper that fits into the top of the desk. This desk was made in the USA. 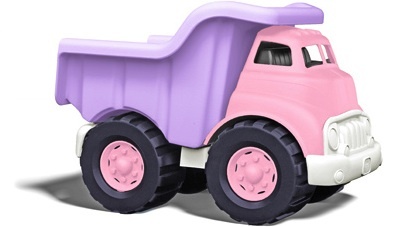 Down to Earth toys promotes eco-friendly, sustainable and high-quality toys for every age. Zome Crazy Bubbles Tool, $15. I’m not embarrassed to say I’m sure I’ll be the one fighting my nieces and nephews to play with this toy on Christmas morning. 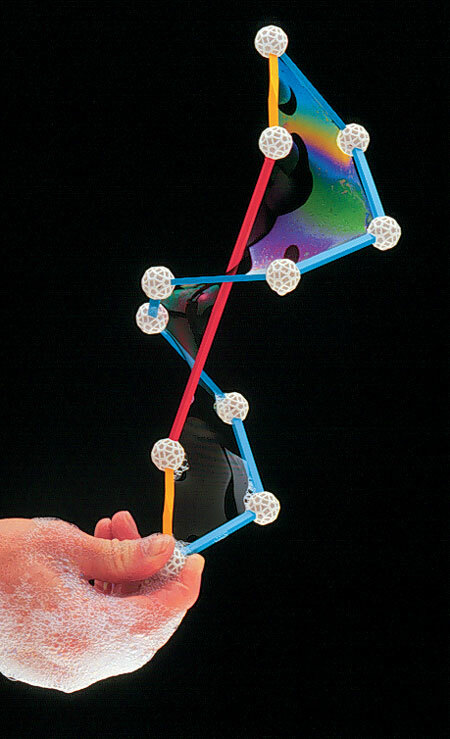 The Zome toy is made in America and is good for younger kids with supervision and older kids can let their imagination run wild my creating kooky shapes to find out which ones make the coolest bubbles. 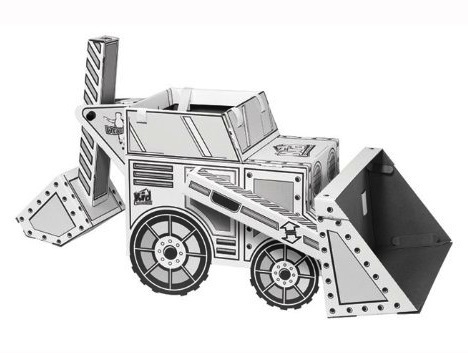 Kids get to put together this bulldozer, made in the USA from eco-friendly cardboard, color it, and then wear it for hours of inventive play. Wearables come in two other shapes – airplane and princess carriage. Check out the Kids Construction website for photos of these toy-costumes in action. Mouth Man Hooded Tee, $29. How clever is this? Kids will have a blast asking people to watch how their tee transforms just by crossing their arms. 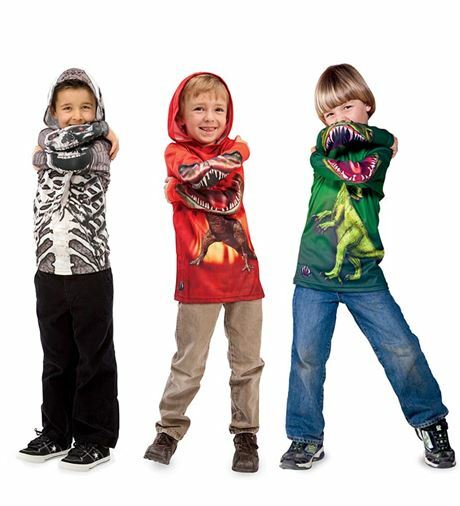 Pick the sweet dog for younger children or ferocious dinosaurs for older kids. Made in the USA of recycled 100% polyester quick-dry sport fabric. It’s even Rated UPF 50+ for sunny days on the playground. You’ll get cool points from the kids and parents with this one. 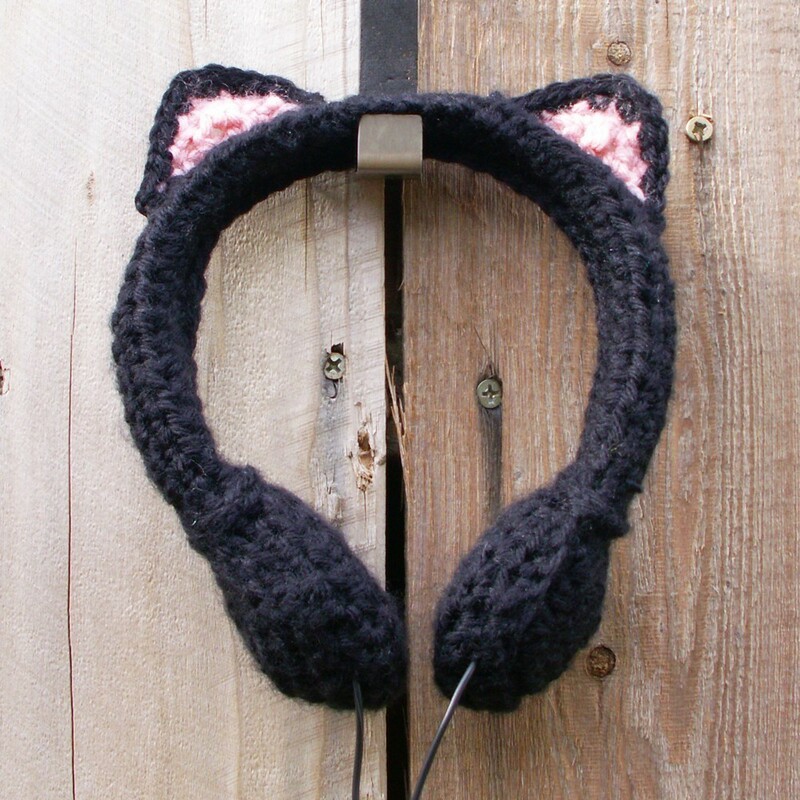 Black Cat Crocheted Headphones, $40. The reality of 2013 kids is that they are often attached to screens of some kind. They’ll love these adorable and unique headphones for playing games, watching movies or good old-fashioned listening to music. Handmade in the USA.